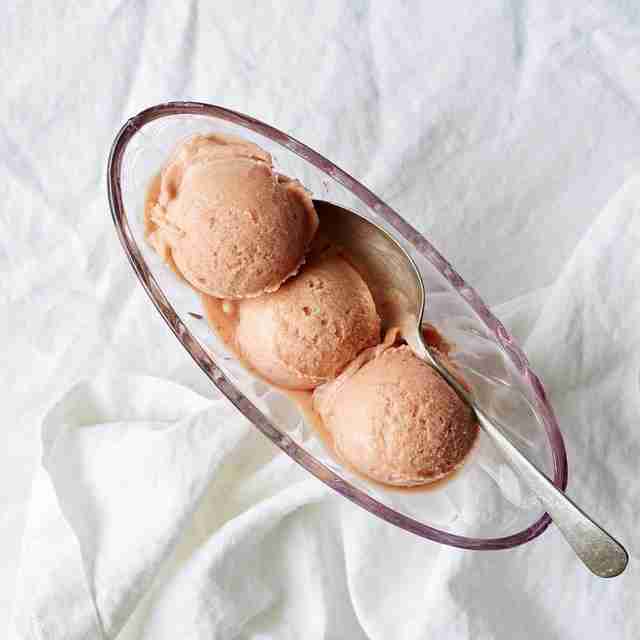 It should be no surprise that LA is swimming with amazing ice cream -- after all, it’s almost always ideal ice cream weather, so much so that one chef is even doing an ongoing eight-course ice cream dinner, ‘cause why not? 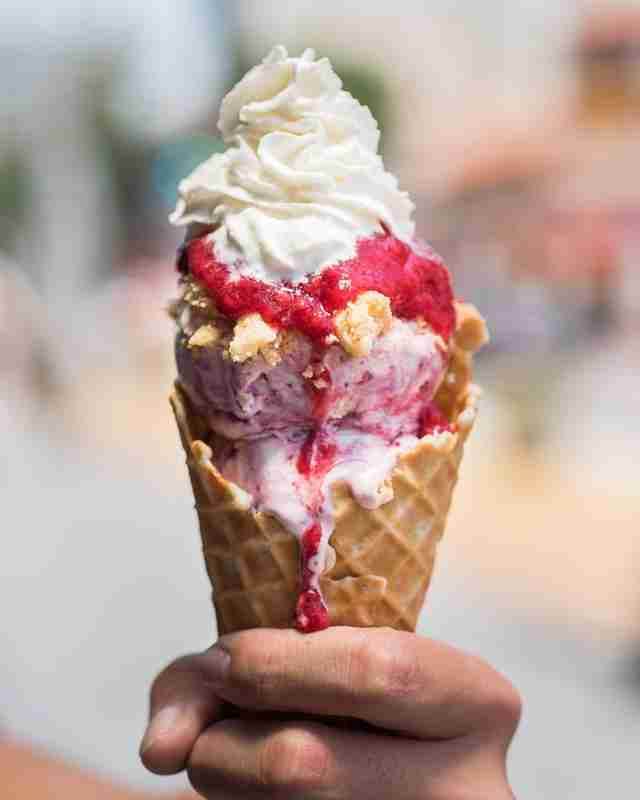 But since summer is our favorite time to grab a cold cone, read on for the inside scoop on 19 of the city’s best artisanal ice cream and gelato shops. 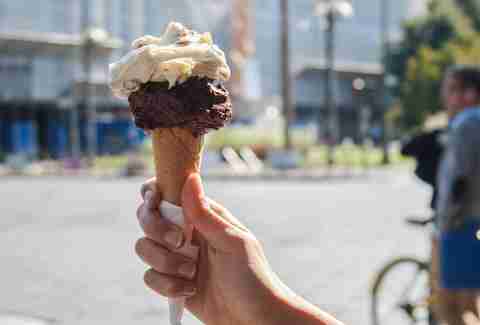 Two years ago, this Portland-based creamery introduced its fresh-made waffle cones, delicious ice cream, and long lines to LA. Now, every month, they highlight seasonal SoCal produce -- so summertime brings freshness like blueberry-studded Meyer lemon buttermilk and strawberry cilantro lime cheesecake. For years, your UCSB friends wouldn’t shut up about McConnell’s. 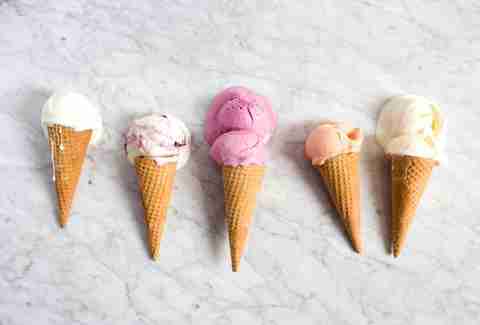 But thanks to locations in Grand Central Market and Studio City, you now get to rave about their small-batch ice cream too. They’ve got churros con leche, chocolate almond brittle, and Turkish coffee, but our money’s on the peppermint stick -- which tastes like a frozen candy cane that melts on contact with your tongue. Soft-serve tends to be lower in milk-fat than regular ice cream, but Honeymee’s has a creamy, luscious mouth-feel that deserves a call-out here. And in flavors like green tea and sea salt chocolate, the milkshakes are a must-try, too. 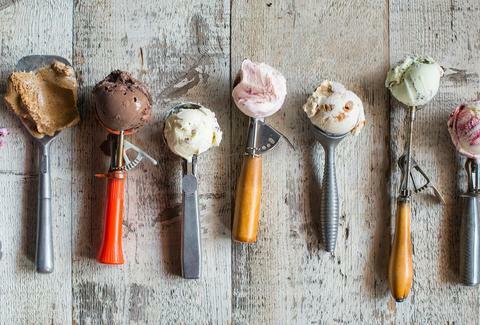 This Ohio-hailing creamery uses the same rich, velvety base (hint: it involves cream cheese!) 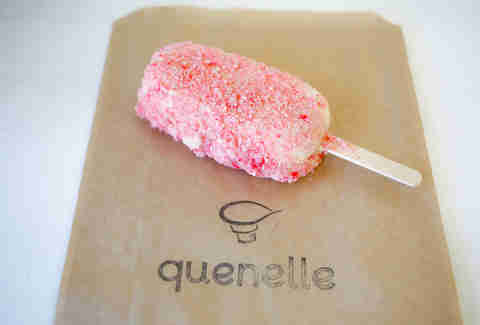 for all its flavors, which are given sweet names like brambleberry crisp and Savannah buttermint. Another Santa Barbara establishment helmed by a former pastry chef, Rori’s opened up a Westside outpost last year. Their ice cream is made with organic grass-fed milk and cream and focuses on sweet-leaning flavors, like honey almond crunch and root beer float. Are LA Restaurants Creating Food Spectacles Just for Instagram? 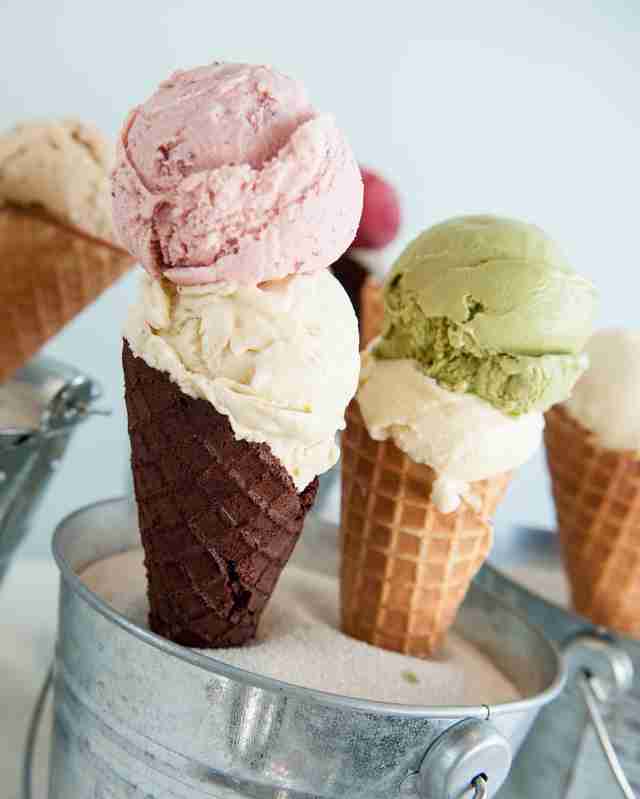 The SFV’s got its own artisanal ice cream spot in Wanderlust, where everything’s inspired by travel destinations. 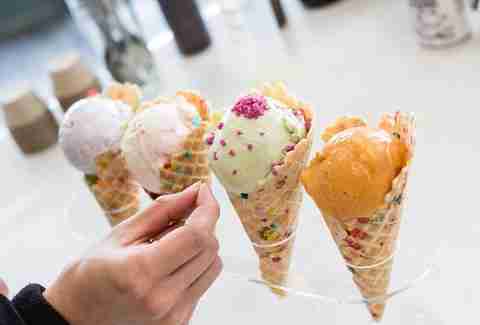 You’ll find a rotating selection of exotic flavors like Thai sticky rice and mango or Icelandic pretzel and rugbrauø, cone flavors in ube or brown butter, and even one-of-a-kind toppings such as pandan rice crispies. 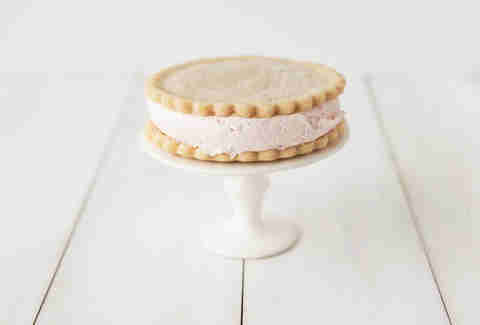 All of Beachy Cream’s small-batch, concentrated flavors are made from scratch in their retro-inspired Santa Monica shop. 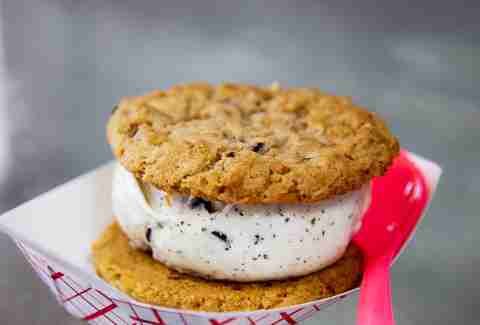 Their organic ice cream sandwiches, including a candied ginger/molasses spice cookie pairing, are also perfect as to-go treats. Right off PCH, this Italian chain makes traditional gelato that’s smooth and supple enough to merit a spot on this list. They’ve got all the usual suspects -- tiramisu, stracciatella, pistachio -- but the star is the crema di Grom featuring Battifollo cookies and Colombian chocolate chips. Sweet Rose’s mint chip tastes like you inhaled a delicious, ice cream-filled herb garden (get that for sure... that, or the summer corn... or the blueberry muffin... you're gonna be here for a while). Go heavy on the toppings -- most of them are made from scratch, which means quality marshmallows and shortbread bits. With flavors that sound like fragrance notes (saffron, rose, orange blossom, jasmine) and a consistency as dense and gooey as peanut butter (well, almost), this Persian-style ice cream spot is worth the line that sometimes snakes out onto Westwood Blvd. Even the lactose-intolerant get a nod from this unassuming Burbank joint. In addition to hawking out-of-the-box flavors like gingerbread stout, hibiscus prickly pear, and chili mango lime (plus made-to-order funnel cake sandwiches on Wednesdays), they also sell Lactaid pills -- so no one has to forfeit on a tasty scoop. This bicycle-churned ice cream spot promises a free scoop if you pedal on stationary bikes for 15-20 minutes at 15 mph, which makes one batch of ice cream. But if you feel like sparing your thighs the workout, a scoop of amazing maple pancake batter or kumquat will set you back for less than a fiver. 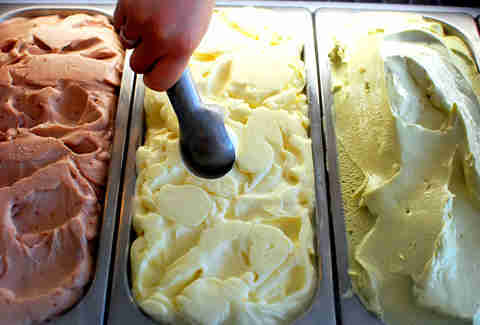 This beloved spot in the Spring Arcade building makes gelato smooth and creamy enough to pass for ice cream. All their classic flavor profiles are noteworthy, but go for the speculoos, which boasts a rich, cinnamon-y, caramelized flavor, and is loaded with crunchy biscuit bits. While everyone else is coming up with crazy-inventive flavors, Three Twins deals in perfectly delicious, organic basics-with-a-twist, like cookie-flecked lemon and mouthwatering milk and honey. 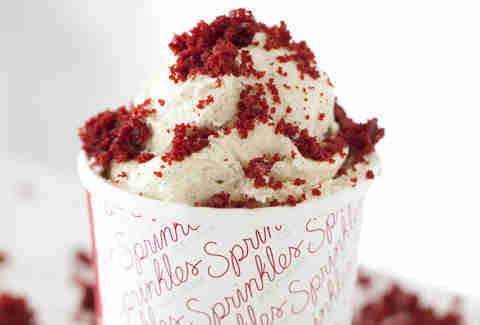 But if crazy is calling your name, opt for one of the kitchen-sink sundaes with names like Slop Bucket or Cookie Monster. This architecture-inspired shop names many of its pre-packaged cookie/ice cream sammies after famous architects, like IM Pei-Nut Butter and Mies Vanilla Rohe. But their real specialty lies in sweet-meets-savory combos, including their seasonal “fast food” flavor -- salted Tahitian vanilla bean studded with chocolate malt balls and French fry crisps. You read that right. 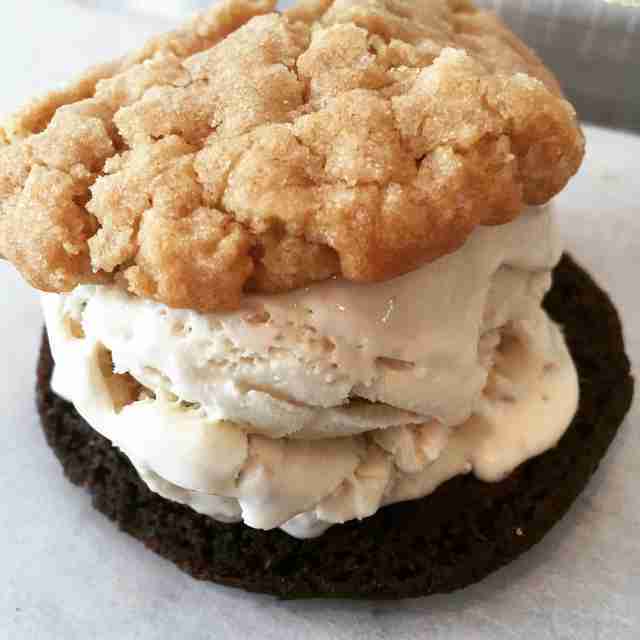 Scoops’ street cred comes from their cult-favorite flavor (the Grape-Nuts-based brown bread), but they’re also known for incredible soy-based options (like maple cookie dough and salty chocolate) that some non-vegans even prefer to dairy-based options. 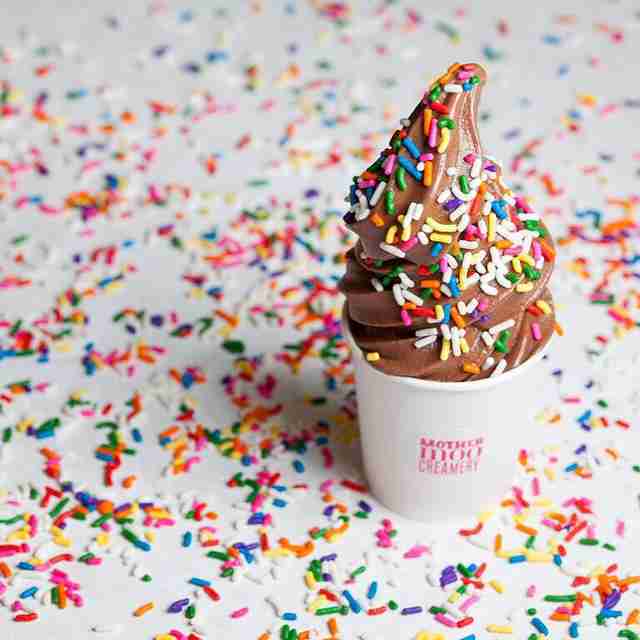 It’s tough to one-up a cupcake vending machine, but Sprinkles has the dessert game on lockdown with red velvet waffle cones and slow-churned ice cream hybrids such as cupcake sammies and cupcake-blended shakes. 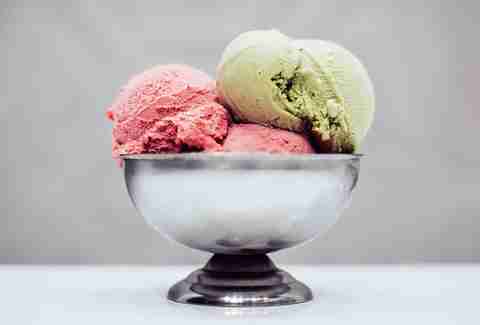 This old-school parlor in Sierra Madre serves up generous scoops of feel-good flavors. Best mooooooooves are the brown sugar oatmeal and organic cornflakes, as well as their excellent made-in-house ice cream cakes and pies. Want plain, old-fashioned strawberry or chocolate? Then don't go here! This ice cream shop -- which is run by a married couple who sources locally grown & organic herbs, spices, and flowers -- does up far more inspired flavors like rosemary with toasted pine nuts. Tiffany Tse is a freelance contributor to Thrillist and is always on the lookout for that creamy, luscious mouth-feel. See what’s she up to on Twitter at @twinksy and Instagram at @twinksy.